Sometimes in an effort to save money on a plane ticket, you end up on an airplane that lacks, well, the basics. Take power, for example. While most planes have upgraded to offer wireless internet, free texting, and a “Relax Pack,” there are others that will shortcut your power supply. Getting cut off with no power outlets or USB ports can leave you feeling lost, if not downright depressed. Well, snap out of it with these handy portable power gadgets that will keep you connected. Before you go spending a few bucks on charging ports and backup batteries, it’s important to know the terminology. Watts is the units that measure power. Voltage is the driving force behind electricity that generates watts. So it takes one volt (V) to create the energy needed to do a watt worth of work. When you are buying portable power gadgets for airplane adventures, the more volts per amps means faster power capabilities. If you use your devices a lot or know you’ll run out of power before you reach your destination, then the Pocket Socket is a home run. This is a hand-cranked generator that weighs less than a pound and is easy to pack in a carry-on. 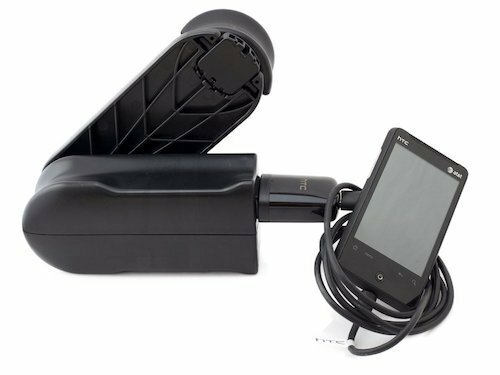 It offers 10 watts at 120 volts of power, allowing you to charge your phone or tablet at the same time it takes when plugged into a wall socket. The actual socket of the device is a standard outlet that you would have at home, so you don’t need any fancy adapters. An added plus, if you are going somewhere with a limited power supply or to aid in a natural disaster, the Pocket Socket will keep working for you throughout your trip. As you fly high up in the sky, you can use all of that streaming sunshine to power your devices via the Solar Window Charger. 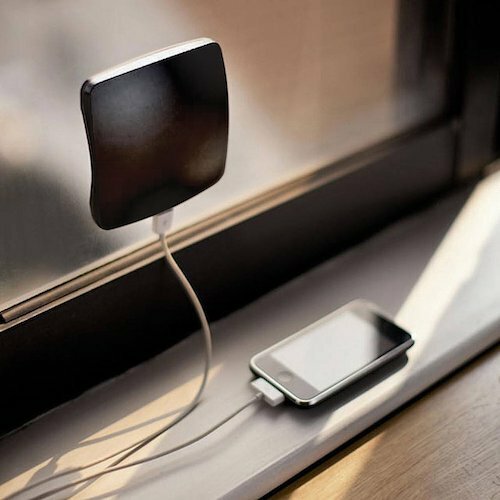 Suction cups let you stick this portable charger to the window and seep up those UV rays. Once you have a charged power bank, there’s also a micro USB and USB port that lets you plug in your gadgets. This device has a 1 amp 5-volt charge, and it weighs less than half a pound. 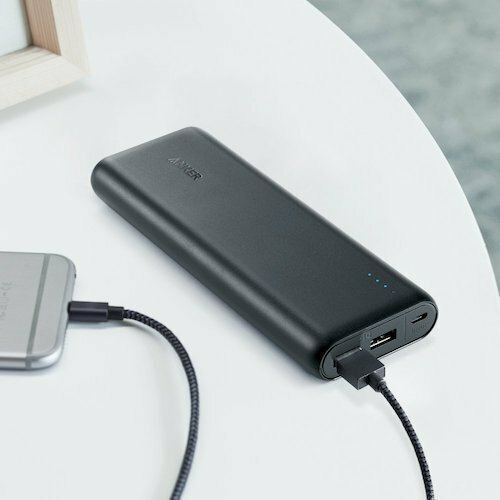 With the right foresight, you can take your own charger via the Anker Portable Charger PowerCore. This power unit packs quite the punch with VoltageBoost to help speed up the charge while weighing less than a can of soup. The device has two USB charging ports including a 12-watt 5-volt output. This puts you at 100Wh, which is max amount permissible by the FHA for your carry-on. Charge the portable battery pack when you are on the ground using a standard wall outlet. Then once you’re up in the sky you’ll be able to recharge your devices multiple times. For example, an iPhone 6s can be recharged fully 7.2 times with one full PowerCore. When traveling with several devices, all of those different plug-in cables add up. You soon have a snaky pile of cords that frustrate you when it’s time to charge a device. Check out the Chafon Multi USB Cable. 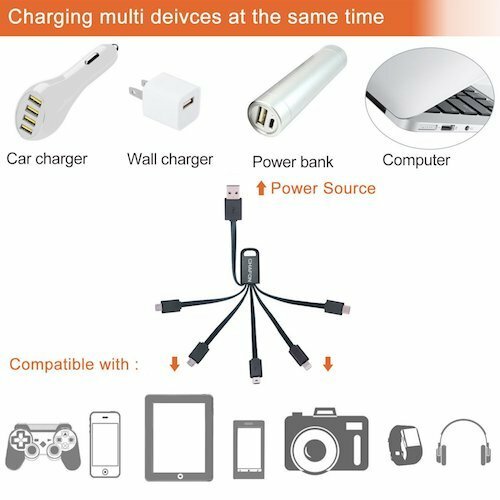 This multi-charging cable has six different ends ready to connect your devices to your preferred portable charging station. 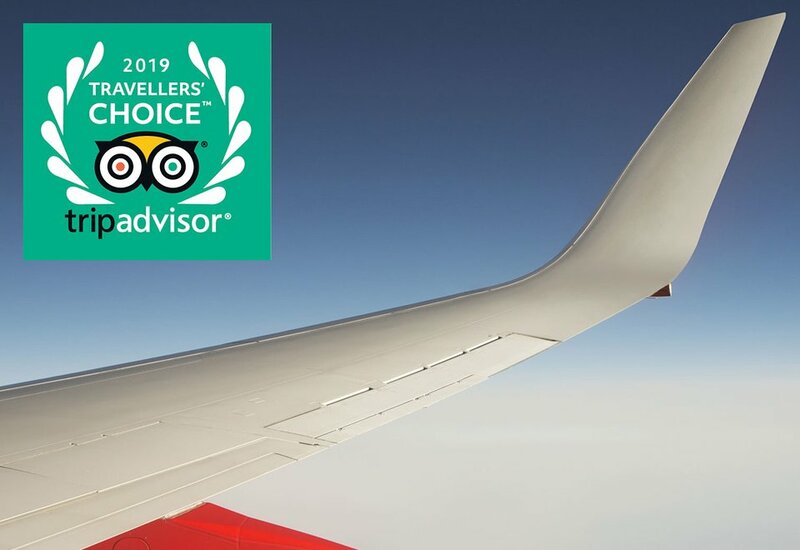 Staying powered up on an airplane can be a lifesaver whether you are working or looking for a source of entertainment. What are your favorite portable power gadgets?